Sylvia Elaine Lufriu has 35 years of experience in helping young people pursue their goals. She has spent most of her career in the guidance department of Hillsborough County Public Schools. An expert in career assessment, she advises career assistants on discussing career options with high school students, helps students prepare for interviews, and utilizes different assessments to measure students’ performance and ability. 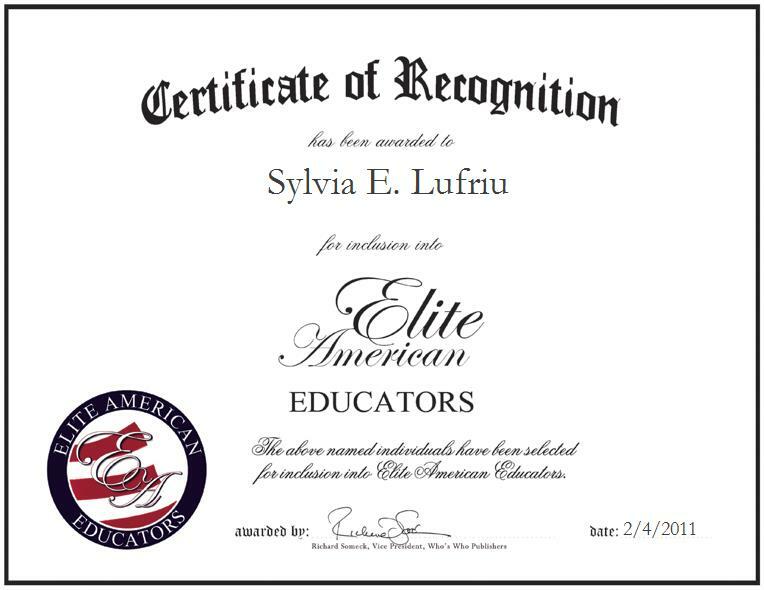 Ms. Lufriu completed coursework in vocational education at the University of South Florida and coursework in general education at Alameda University. She is a member of the Hillsborough County Career Educational Association and the International Cake Exploration Societé.